This dog has lived in a home with another dog for an extended period of time without issue. This dog has had positive interactions with younger children, either in shelter or in the home, but has not necessarily lived with children. Gentle and easy-going, Otto is a beautiful pup with soft white fur and the most adorable face. He's deaf and blind, but has the loveliest brown eyes and is so sweet-natured that he never barks or growls, preferring naps to trouble-making. He's very good with other dogs and is currently living with eight ranging from an Australian Shepherd to a Yorkie. 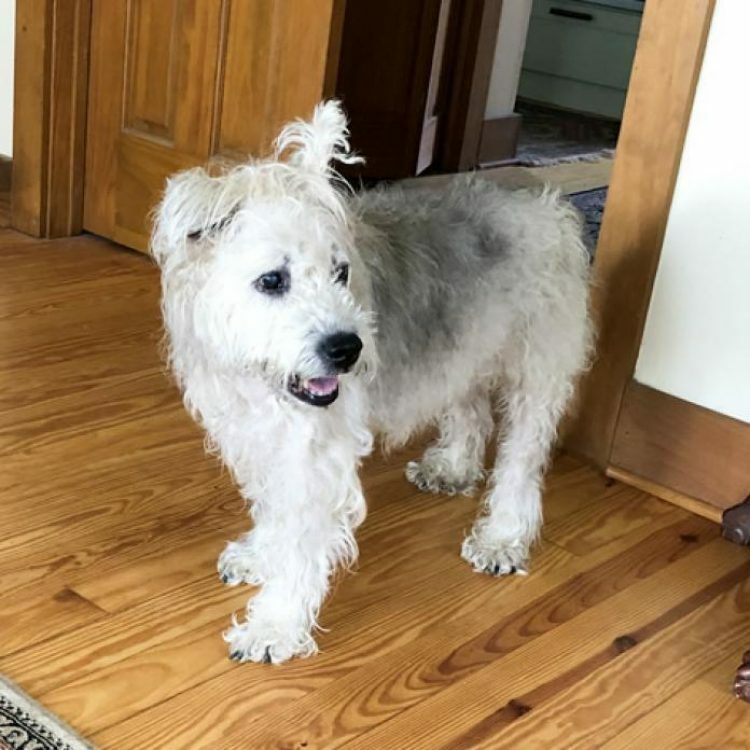 In the first couple weeks in his foster home, Otto began to recognize the family members and prefers to be in the same room as them. He enjoys having his head rubbed and getting scratches behind the ears, and is becoming more affectionate and engaged with his humans every day. He's also good with the 8 year-old he lives with and enjoys being pet by him. Otto is learning how to get around the house and enjoys strolling around the garden, stopping to smell the fresh air. A favorite spot to stop and sniff is near the chicken coop. Otto isn't crazy about crates or leashes but has responded well to being allowed to move around freely. He appears to be fully house-trained with frequent potty breaks, although he manages to make it up to eight hours through the night. He always relieves himself whenever he is let outside, so trips out are generally quite quick. Otto would love a home with easy access to the outdoors and one with people who are around quite a bit. 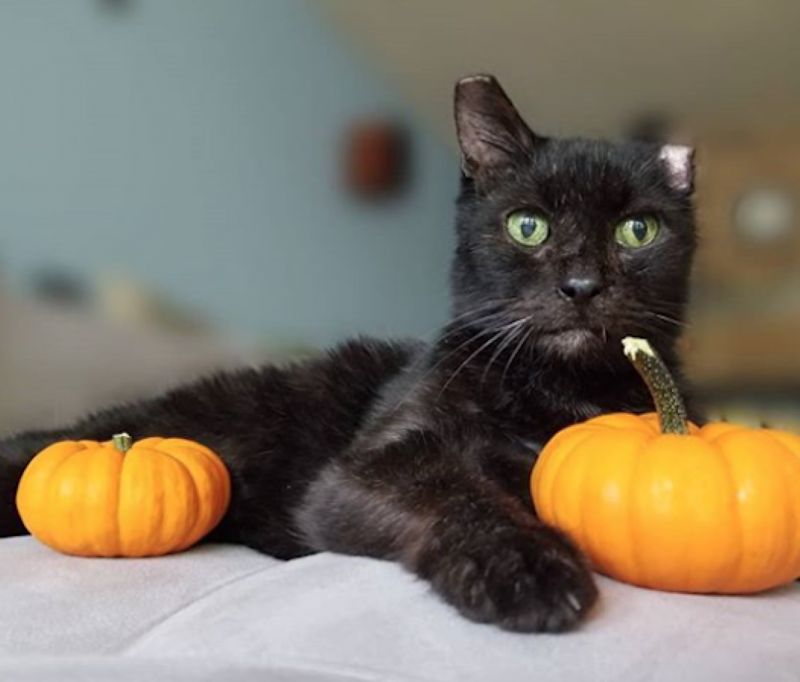 He deserves someone to love and look after him, and in return, he promises to be an easy-going and sweet companion who won't cause any trouble. If you think you can handle all that, come meet this sweet guy! 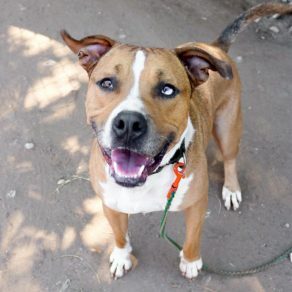 I saw Otto (https://www.austinpetsalive.org/adopt/dogs/apa-a-65848) on the Austin Pets Alive! website and would like to request more information.